US Secretary of State says withdrawal from Syria won't alter US military capacity to combat ISIS or Iran. US Secretary of State Mike Pompeo said Saturday that America's withdrawal from Syria is merely a “tactical change” that won't alter US military capacity to combat the Islamic State (ISIS) or Iran, The National reports. Pompeo’s comments were made in Abu Dhabi, the latest stop of his Middle East tour meant at reassuring Washington's Middle East allies of its commitment to the region. Pompeo told journalists he was "optimistic" a way could be found to protect Syrian Kurds while allowing Turks to "defend their country from terrorists" following a US pullout from Syria. "We are confident we can achieve an outcome that achieves both of those," he said, according to The National. The Secretary of State added he believed an upcoming Iranian satellite launch was actually "another step in their understanding of how it is you can launch an" Intercontinental Ballistic Missile. He stressed this would be in violation of violation of UN Security Council Resolution 2231, and the "whole world needs to come together to oppose that." 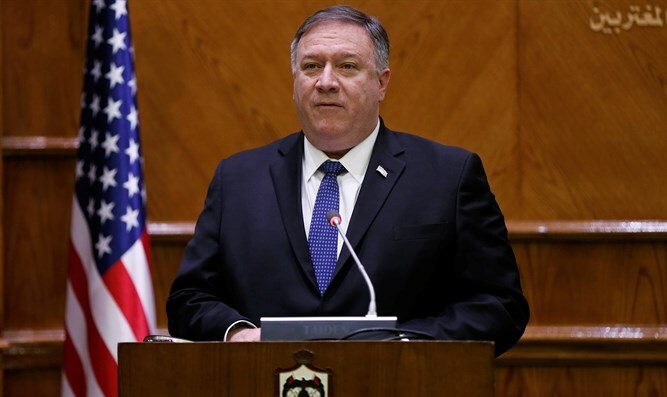 Pompeo said an upcoming summit planned to begin February 13 in Warsaw would look at various issues, one of which will be "how it is we together can get Iran to behave like a normal nation." He said the US was committed helping "the Iranian people to have opportunity and democracy." The Secretary of State’s Middle East tour follows President Donald Trump’s surprise announcement last month that the US would withdraw the roughly 2,000 soldiers it currently has deployed in Syria. The president initially called for a 30-day timeframe to complete the pullout, but after meeting with South Carolina Senator Lindsey Graham, Trump agreed to delay completion of the withdrawal. On Friday, a military spokesman said the US had already begun "the process of our deliberate withdrawal" from Syria. Defense officials later clarified that the military has begun moving non-essential gear out of Syria but is not withdrawing troops for now. The US’s main ally on the ground fighting ISIS in Syria, the Kurdish led Syrian Democratic Forces (SDF), have held emergency talks with Moscow and Damascus over fears that Turkey will use the US withdrawal to launch on offensive. The Syrian Democratic Forces are led by led by the People's Protection Units (YPG), a mostly Kurdish militia. The US makes a distinction between the YPG and the PKK, but Turkey does not and has more than once expressed its outrage over the American support for YPG, which it views as a terrorist organization.